For your termination of Sugar Kyle we have paid you 0.09 ISK from their bounty pool. The question is, how did I come across this massive bounty on myself? For this Bounty mail came to my own mail box. Let me explain. I went and got some hot chocolate (candycane hot chocolate), stepped into my Stiletto and undocked with the fleet. Ishtar fleet it was and I was tackle. I'm still two weeks off of T2 sentries. I didn't mind. I was the only tackle and the FC sent me forward. Not a big deal. I jumped and my overview filled with ships. 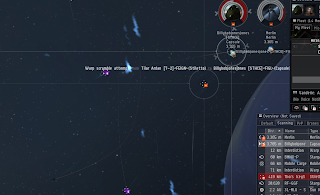 About fifty km off the gate there was an Oracle fleet with a Cerberus and two logis. I held cloak, called the field for the FC and warped off. 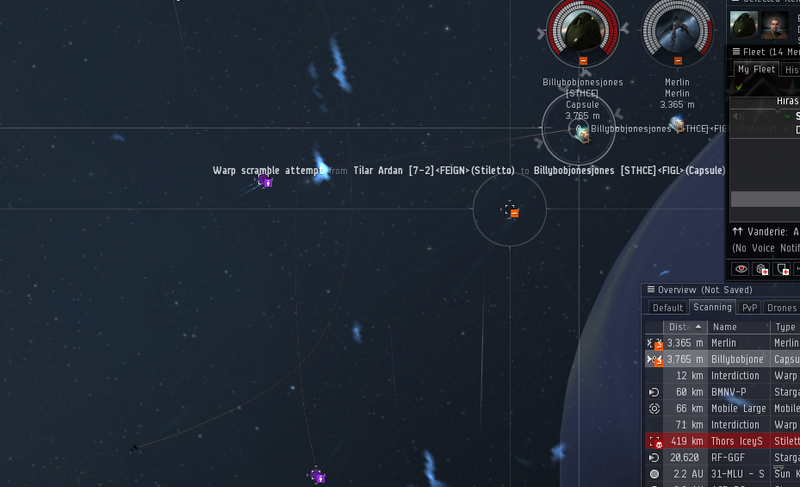 I sat in a pounce while they decided to take the fleet which was 8 or 9 oracles. The FC wanted me to land and try to tackle anything. Then they'd come in. He goes, "large guns, you'll be fine." Yah, still, eight is uncomfortable but they were in a blob. I bounced to a planet, decided to warp to the gate at 30 and see what that did. What that did was land me 20 off the gang. I frantically locked up all the things and pointed as soon as I got locks. I wound up with an Oracle tackled with one point and the Cerberus with the other. The Ishtar fleet jumped in and started mowing down ships. I was taking some damage. Transversal against that many things wanting to hurt me is rather hard and the damage was peeling away at me. One Oracle down and they warp the fleet off and I have the Cerberus. I was in armor, structure, as they chewed the Cerberus. Another hit and I'll die. Tilar has appeared and the FC tells me, "I don't care if you go down." That's fine. It means he wants me to hold on to the end to ensure the Cerberus kill. 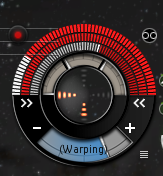 One more hit, one more, I'm read to warp my pod and the Cerberus pops and I'm out. Tilar nabs another Oracle. Their Rapier decloaks and wounds up pointed by someone and its done. We loot the field and our Celestis lemmings through the gate as we regroup to drop loot. He sees a Proteus so one Ishtar jumps through to push said Proteus through. Only, he is off the gate and not moving. We get webs in as well and the fleet goes in. The Proteus pilot then promptly ejects from his ship. We are in happy shock. A quick conversation has me eject from my Stiletto and I now have a new Proteus. 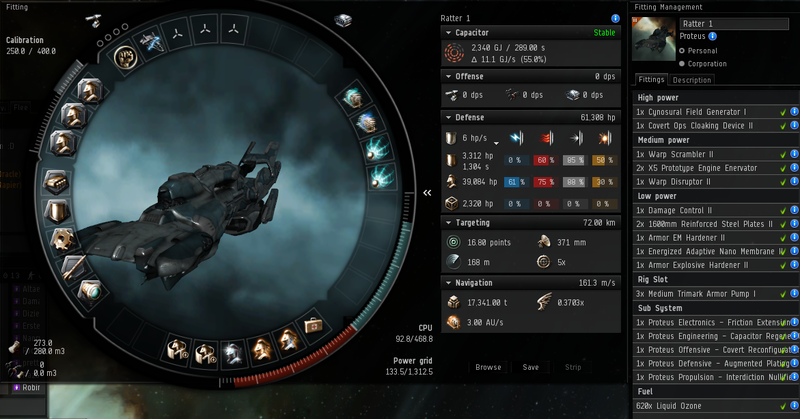 With no prop mod I trundle away. It turns out that is a neutral alt hot drop bait ship for the other fleet from that pilots history. Altaen stopped in to thank them for the ship as I ran it the two jumps home. A quick switch into a rookie ship and I was back to my Stiletto. We killed my rookie ship and collected the .09 bounty and the fleet was on its way out. We bumbled around for the rest of the evening. We poked into Moon Warriors systems and had some chats. We said bye, since we're going home on Monday and thanked them for the fights. Someone told us to go away and with no one undocked we left. 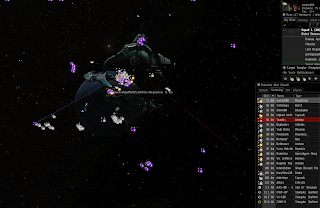 Then, a few jumps out they appeared and we had a little spar and the most interesting Scimitar died. We flew around and killed random stuff. We shot at Agony in a battleship fleet but that was unproductive. One group told us that Brave Newbies was out in a sixty man rail Throax fleet. We didn't believe them and had the feeling they wanted us to go away. Somewhere around there we managed to bubble a Merlin and tackle him with three interceptors. He chose to eject from his Merlin. We killed the pod and then the Merlin. Eject from your ship day? Back through we caught that same group nailed their Armageddon. We were going home but the FC wanted to go to their station and see what they were doing. Razor managed to get himself killed on the station. But, they aggressed and started to undock on our no logistics Ishtar fleet. Then they warped a Nyx to the station which we promptly bubbled. Sadly, they were able to pop our bubbles with a bomber before we could dig up a bat phone. They then said we were bad at bubbles and smacked some in local. After a Nyx warped to the station for an Ishtar fleet. Okay. Cuz yes, he did aggrees, as Altaen was running from Templars. 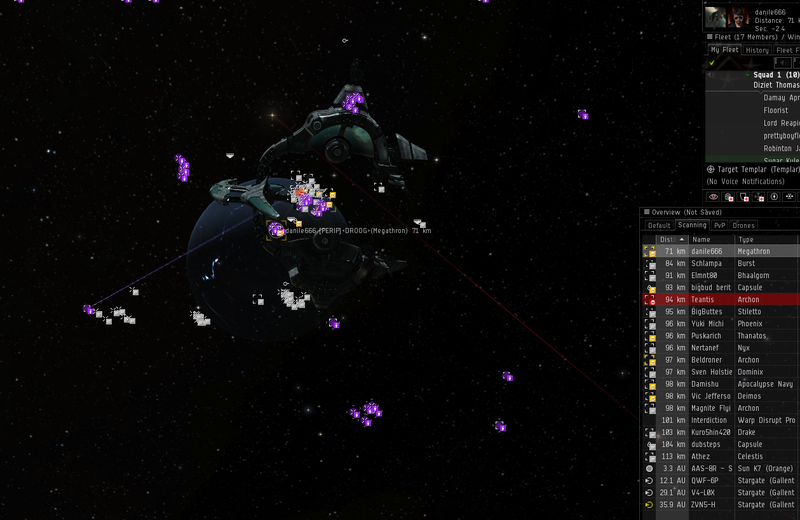 We'd have tossed the entire fleet if we needed to but once they got the bubbles off and all we had was the Heretic. 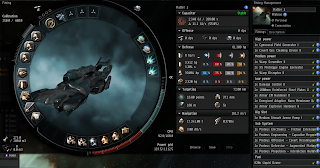 Once the Nyx was free they docked. We scooped loot, popped wrecks, and left. I was super tired and I do hate station games even when they are productive. Finally, back home after two and a half hours. I need to name my new Proteus.